How about a 200-mile-wide fulgurite? There is a several second delay between the slides and the audio, as well as in the Q & A portion. Thanks for posting that, GD- listened in yesterday while I was working. Steve did a bang up job considering the technical difficulties they were experiencing. Oh, just noticed it was Lloyd who posted the page! Hello Gary: Do you know the location of the trench you posted above? The key to the trench is the ease of eroding fresh sediment with fast moving water. If slurry outwash flowed from newly formed dune/mountains the sediment would form in the manner shown in the sedimentology videos below. The comtinental shelves would be the result. As the ice sheets, glaciers, and antarctica were at their maximum , the level of the oceans would decrease causing raging rivers to rip through the soft sediment. The depth of the underwater canyons implies the decrease of ocean level was great. As the ice sheets, glaciers, and antarctica melted, the oceans increased, submerging valuable beach front property. My interpretation of those images is pure EDM. The dentritic patterns on the canyon walls in the first image are identical to those seen on Mars, and the scalloped bays in the second image are also very Mars looking. The top image I recognised as the Monterey Canyon. Hello Gary: The ridges in Monterey Bay could have been zapped causing a change in appearance. But water seems to also be involved. Natural drainages lead to the trenches. Mars could have had oceans in the recent past. The encounters with Venus and Earth could have removed the surface water. I assume much of the basalt on Mars is the result of plasma/electricity. The sides of the canyons on Mars also seem to have been turned to dust, in a process similar to EDM. 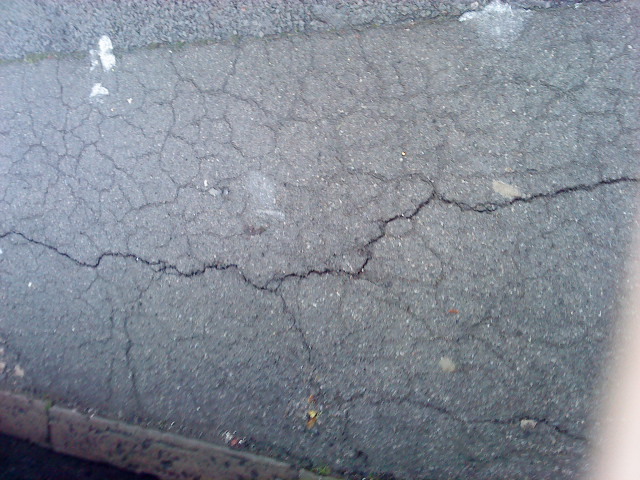 Earth seems to have a combination of water erosion and electric erosion. Mars seems to have had electric erosion, and possible water erosion, IMO. How do you feel about slurry outwash causing the shelf? Every slosh of the ocean would cause drainage afterwards. The drainage would cause the shelf to grow. Decreased ocean level would cause erosion, causing a trench. The last outwash filled the trench to the point we see today. It struck me that the river valley on the land in that image is a fairly uniform width, and the river itself only occupies a small part of the valley floor. Could that be an indication that the valley was the product of EDM and that water started draining down it afterwards? From an EDM point of view, why is it that the canyon suddenly starts at the modern-day coast? It seems to be a feature of underwater canyons like that - they all start at the point where the modern-day river meets the sea. Coincidence? Or something else? Also, in the TPOD on Titan's "rivers" it said that the branches of EDM canyons meet the main canyon at right angles, and that that's a feature of EDM. The branches off the main canyon in this image all meet it at an angle though. "If opposite poles attracted each other, they would be together in the middle of a magnet instead of at its ends"
The valley shows the extent of the flooding due to sloshing and incessant rains. The entire valley would have been flooded. What was draining out of the mountains was slurry, creating the shelf. The slurry would fill in old trenches. When the flooding decreased and became less slurry like [a raging river], it would cut through the fresh sediment like butter. While the ocean level was reduced the canyon could be affected by a plasma current. Prior to the Great Flood the shelf might not have existed. After the flood there would just be mountain tops sticking above the ocean surface acting like a snow fence, pulling dust out of the air during the world wide time of darkness. Then the process of creating dunes and a shelf would begin. The LA basin below in composed of runoff slurry. Rancho Palos Verdes is a small mountain that prevented runoff, hence the lack of shelf to the SW. The deepest excavation on Mars. I'd like to know how any of the features in this image are caused by wind, water, impact, volcanism, or any other easily recognisable effect. I'll accept some landslides, perhaps some acoustic fluidisation , but other than that, it looks like plasma or EDM excavation. * I seem to recall Cardona stating somewhere once that before the Saturn System breakup, there were no oceans at all, nor mountains, just plains, hills and shallow seas. * I referenced Monterrey canyon in a thread here about 2 years ago, I guess, suggesting that it was carved electrically when there were no oceans, since trenches probably could not be carved under deep water, either by running water, or by EDM. I also referenced a couple of seamounts off Oregon that look a lot like the Mars "volcano", Nix Olympica, or Olympus Mons. * In Thoth, Vol 3: 9-12, the great flood is discussed. Here's a short excerpt and the link. * In Thoth, Vol 4: 1-4, the flood was discussed again and was said to have come from the north. * I highly recommend looking through such back issues of Thoth. Here's a cool link from someone at my alma mater on geographical fractals found via Google Earth. I thought i might add the following pictures i took this morning while out on a walk. 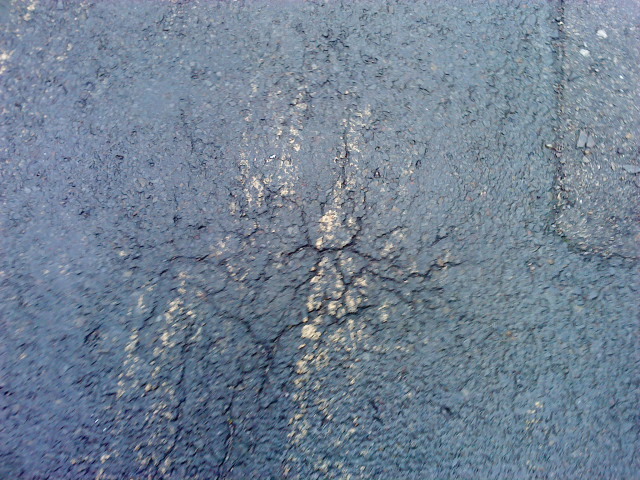 I know its only tarmac or concrete that's cracked under the stress of people and cars but i found it quite funny that the cracking seems to follow this inherent pattern in nature. to just a few Kms, it looks (I think) like there are some excavations. Pan and zoom around there, lots of eye-candy for EUers.